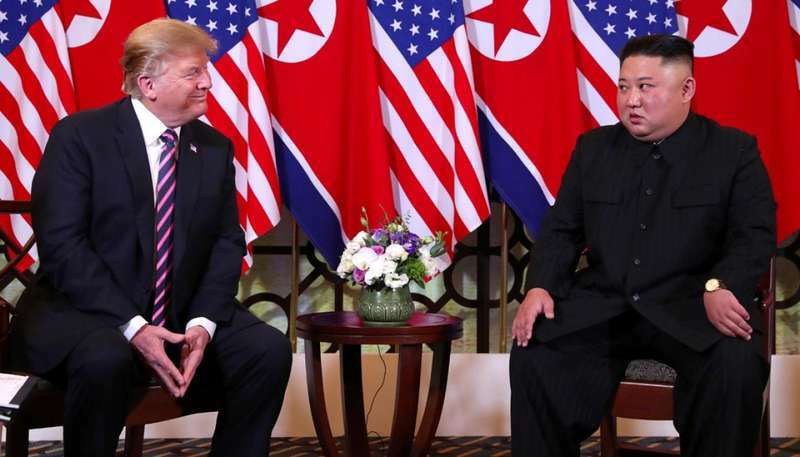 The Hanoi summit between US President Donald Trump and North Korean leader Kim Jong-un concluded with nothing. For the time being, the Korean peninsula will not be denuclearized, even if Trump -in the press conference- spoke of "positive meeting and negotiations still in progress". The economic sanctions were to make the negotiations go bankrupt because the North Koreans wanted them to be removed altogether, but the US president did not want to give up on this point postponing the end of the embargo at the time when all the Pyongyang's missile and nuclear arsenal. But some progress has been made in the press conference, because for the first time Kim Jong-un answered the questions of foreign journalists, underlining that "if I had not had the desire to denuclearization, I would not find myself here". Despite this, no joint declaration was signed and the post-summit lunch was canceled, and shortly after White House spokesperson Sarah Sanders confirmed that "the meeting was very good and constructive". Probably from the results achieved in Hanoi we will start in the next two-party summit, which as Trump said "could be held in a long time".